There are 9 Memory Care Facilities in the Cary area, with 1 in Cary and 8 nearby. The average cost of memory care in Cary is $5,850 per month. This is higher than the national median of $4,650. Cheaper nearby regions include Crystal Lake with an average starting cost of $4,769. To help you with your search, browse the 12 reviews below for memory care facilities in Cary. Better rated regions include Crystal Lake with an average rating of 4.9 out of 5 stars. The village of Cary, which is located in McHenry County, Illinois, has nearly 18,000 residents, almost 10 percent of whom are aged 65 and over. The Alzheimer's Association reports that seniors are statistically most likely to be diagnosed with Alzheimer's, and as Illinois' population continues to age, the rate of Alzheimer's is expected to increase. In McHenry County, among seniors who receive Medicare benefits, almost 9 percent have Alzheimer's or dementia. Cary has one memory care facility, which is situated in an assisted living facility. Families looking for more options can find another nine memory care facilities nearby. Some of these, like the one in Cary, share campuses with senior living facilities that provide other levels of care, while others are supportive living facilities that only house those with dementia. Illinois does not impose a state income tax on retirement income, including Social Security Benefits, withdrawals from retirement accounts and income from public and private pensions. This may leave Cary seniors with more money for memory care expenses. Ozone pollution levels in McHenry County, where Cary is located, are very high, which may be a consideration for families whose senior loved one has a respiratory illness. The American Lung Association gave the county an F for this type of pollution and ranked it 22 out of 227 metropolitan areas for high ozone days. Summers in Cary are warm and humid with July highs in the mid-80s, and winters are chilly and snowy with January lows around 15 degrees. The city's 35 inches of annual snowfall, which is about 10 inches more than the nationwide average and almost double the statewide average, may be a consideration for families who travel locally during the winter months. Cary is a relatively expensive place to live, with overall living costs coming in almost 20 percent higher than the national average and healthcare expenses that are about 7 percent higher than the national average. This may make living in memory care in Cary a challenge for seniors with tight budgets. Memory Care costs in Cary start around $5,850 per month on average, while the nationwide average cost of memory care is $4,798 per month. To see a list of free memory care resources in Cary, please visit our Assisted Living in Illinois page. 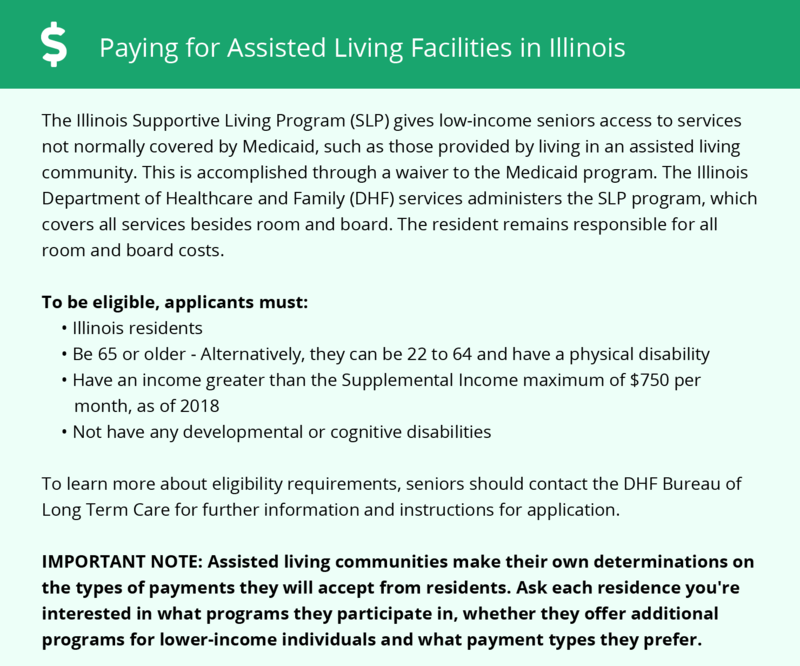 Cary-area assisted living communities must adhere to the comprehensive set of state laws and regulations that all assisted living communities in Illinois are required to follow. Visit our Memory Care in Illinois page for more information about these laws.